Even by Washington standards, Trump has embraced a “What is good for me, right now?” attitude to an unprecedented degree. 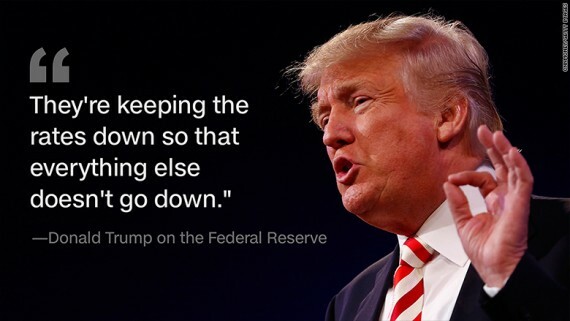 With three open Fed seats, is there any doubt that they will be filled by whomever the President thinks will keep the rigged economy running as superficially hot as possible, as long as possible, to best abet his reelection chances? Applying the shortest-term and most self-interested criteria to positions best suited to those keeping the longest-term and most panoramic worldview. Fantastic. There are three open seats on the Federal Reserve board, including the vice-chair, assuming Marvin Goodfriend is approved by the Sentate, but we do hear rumblings his confirmation may be in trouble. Thus, five seats on the FOMC, including the NY Fed President, are in play for some potential monetary mischief by the administration. The question now is will Larry Kudlow use a “let it rip” litmus test in nominating future Fed governors? That is the larger risk. The administration attempts to stack the deck with “let it rip” doves. Maybe it makes for a short-term sugar high for markets but we suspect the long-term damage of such a move will start to be discounted – an air pocket in the dollar – causing a reduction in the Fed’s credibility and doing structural damage to the U.S. economy.